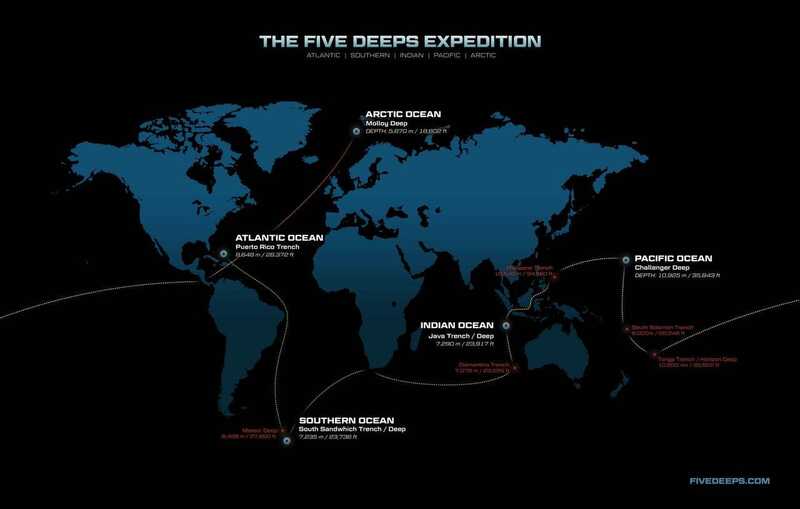 Five Deeps ExpeditionVictor Vescovo, a Wall Street investor who’s travelled to the world’s seven highest peaks, is now aiming to dive to its lowest caverns, the trenches in the sea floor. A submarine mission called “Five Deeps” is going to explore the bottom of each of the world’s oceans. First up: the depths of the Atlantic. The mission will launch from the coast of Puerto Rico in December. We may not know where the deepest point in the ocean really is. This team wants to find out. That’s arguably more remote than the moon – radio waves sent back-and-forth during the Apollo missions took just 2.5 to 2.7 seconds to transmit. But this location isn’t in space; it’s at the bottom of the sea. In December, explorer and investor Victor Vescovo, along with scientist Alan Jamieson from Newcastle University, are embarking on a groundbreaking mission more than 6.5 miles under the waves. 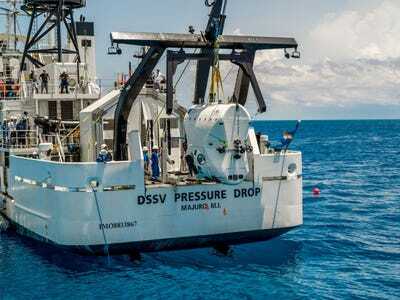 The two are heading out in a new $US48 million dollar submarine to better map the bottom the world’s five oceans. First up on the five-dive trip will be the Puerto Rican trench, the deepest point in the Atlantic Ocean. It’s a spot no human has ever explored, and it’s so deep that any communications from the submarine will take seven seconds to travel back up. Jamieson’s research often sends cameras and sample boxes to the sea floor, but that’s not the same as going there. In the Puerto Rican Trench, more than 5 miles under the surface of the water, the pressure is immense: over 800 times what it is at sea level. 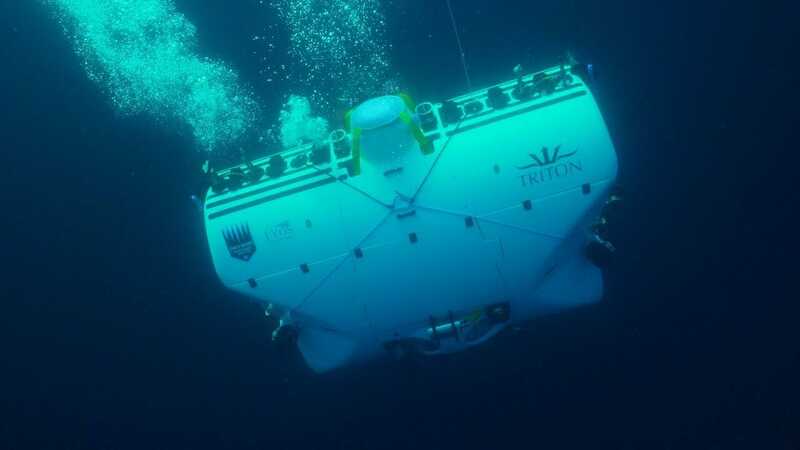 To better handle that high-pressure environment, the hull of the Triton 36000 submarine that Vescovo and Jamieson will travel in will morph and change shape on their three-hour journey to the Atlantic Ocean’s floor. The submarine will probably scare off most of the animals that live in the pitch-black part of the ocean more than 3,280 feet below the surface. But the vessel should be much better at mapping the ocean floor than satellites, thanks to its 3-D sonar system. The sub might collect some critters that don’t scare easily in biological sample boxes and sediment cores that the team will pick up. After the Puerto Rican dive, the vessel will spend the next seven months, until August 2019, zig-zagging its way to the four other deepest places in the planet’s oceans, including one spot that we think is the deepest of them all. 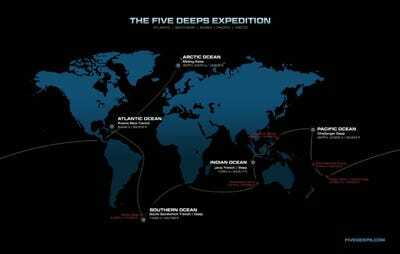 Five Deeps ExpeditionThe five dives will take place between December 2018 and August 2019. While hundreds of people have ventured into space, and a dozen have landed on the moon, only three have touched down on the deepest known place on the sea floor, the Challenger Deep. That’s a spot at the bottom of the Mariana Trench in the Pacific Ocean, almost 7 miles underwater – a location farther down from sea level than Mount Everest is up. Film director James Cameron went there in 2012, and explorers Jacques Piccard and Don Walsh did it more than 50 years earlier in 1960. But that’s it. Jamieson said the deepest 45% of the ocean has been essentially ignored by explorers. The South Sandwich Trench in the Southern Ocean hasn’t even been named yet, so the Five Deeps crew is looking forward to claiming naming rights there. It’s possible, however, that the Challenger Deep isn’t really the deepest place in the ocean after all. Jamieson said much of today’s sea floor mapping is based off of very “dodgy” information. And a lot of data is inferred from satellite pictures. Jamieson and Vescovo think it’s possible that they will discover a place deeper than the Challenger Deep. Five Deeps ExpeditionThis refitted Navy ship will carry the $US48 million sub around the world. The trickiest dives on the mission will also be the coldest. The team plans to travel to the 18,600-foot-deep Molloy Deep in the Arctic for its final mission in August. The area is not nearly as deep as the other trenches they will explore, but it’s another place where no human’s ever been. 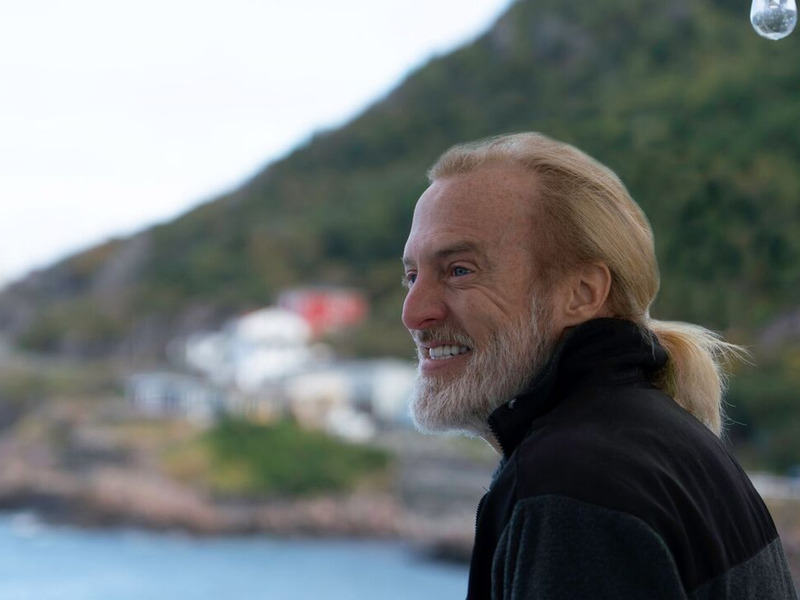 With climate change warming up the ice that normally sits atop the water, the seas are a bit rougher too, so the crew expects that Arctic dive to be their toughest challenge of all. When you’re 5 to 7 miles underwater, anything that goes wrong could prove deadly. The engineers who’ve designed this submarine admit that it’s going to a lung-crushing depth. For that reason, the vessel doesn’t move very fast on these missions, typically no quicker than about 3.5 mph. And it’s got some other safety features designed to keep it from getting stuck below. Vescovo, who’s a pilot and former Navy reserve intelligence officer, says safety is also the reason he asked that the submarine be made of titanium, even though it means he only has three palm-sized porthole-style windows to peek through. “I trust titanium, not glass,” he said. Vescovo added that he’s relieved to know the oxygen tanks inside will still be accessible, even if the electronics fail. “We have multiple avenues of getting that oxygen out of the bottles to keep us alive,” he said. The team’s first dive, which should last less than six hours, will take place during the first week in December.